We LOVE sweet potatoes. Like, with a passion. They are great in almost every form… sweet potato fries, baked sweet potatoes, boiled sweet potatoes, sweet potato cookies, sweet potato hash, sweet potato pies… I could go on! However, most of the time I find that sweet potatoes take some effort. Most of the time they have to be washed, peeled, and then diced/chopped/julienned/speared, etc. Sometimes I just don’t feel like spending that much time on one vegetable! 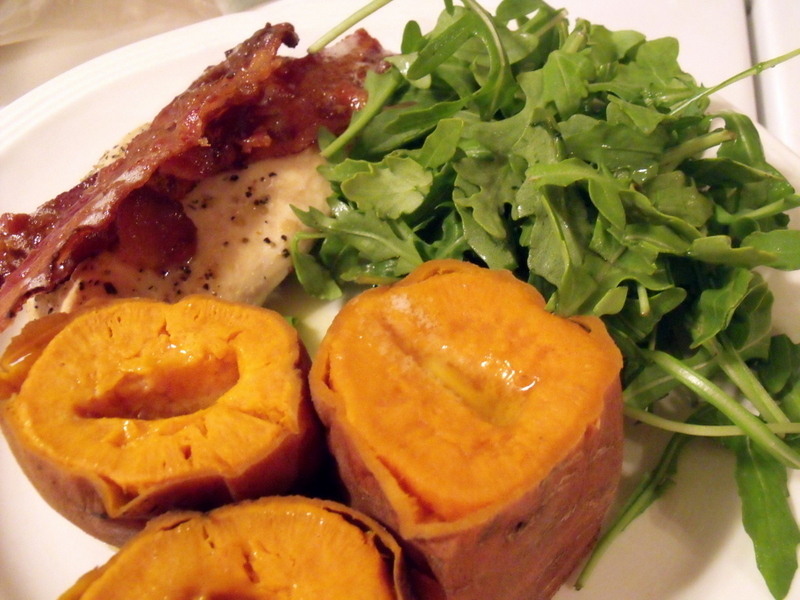 Last night I tried something new, and it definitely tops the list as the easiest way to prepare sweet potatoes. Chop each potato into three equal parts (or 4 if you have a large sweet potato)… you don’t even need to peel them! Place the potatoes in a pressure cooker with about 1 inch of water. Seal the cooker, and heat on HIGH until the regulator begins to rock. Reduce heat to medium, and set a timer for 15 minutes and walk away! Place the pressure cooker in a sink full of cold water to release pressure. When the pressure releases, remove the potatoes, top with a generous portion of grass-fed butter, and a little salt. DELICIOUS and EASY in 15 minutes!